Abstract: In small enough semiconductor devices, the electron mean free path for collisions with impurities or lattice vibrations greatly exceeds the device size. Hence, the electrons traveling with the thermal or Fermi velocity leave the active region of the device before they experience scattering. Such collisionless electron transport is called “ballistic”. The electron mean free path in silicon at room temperature is on the order of 30 nm. This is much greater than the 7 or 10 nm feature size of modern silicon CMOS used, for example, in the recent generations of iPhones or Android phones. The current-voltage characteristics of such devices look similar to those of much longer transistors. However, the physics of the ballistic transport is hiding behind this misleading similarity being very different and counter-intuitive. It has important qualitative consequences for the design of the advanced transistors and integrated circuits. One new ballistic concept is “ballistic mobility”. A mobility is the coefficient of proportionality between the effective drift velocity in the device channel and applied electric field. Since electrons hit contacts more often in short channel devices, the ballistic mobility is proportional to the device length, as was confirmed by numerous experimental data. At high frequencies, the electron inertia starts playing an important or even dominant role. The high-frequency impedance is strongly affected by the electron inertia and by the phase delays of the opposing electron fluxes in the device channel. The waves of the electron density (plasma waves) enable the device response well into the terahertz (THz) range of frequencies. At high excitation levels, these waves are transformed into shock waves. The rectification and instabilities of the plasma waves enable a new generation of THz and sub-THz plasmonic devices. Ultra-wideband WIFI, advanced homeland security, VLSI testing, and cancer detection are but examples of applications of this plasmonic technology. Biography: Dr. Michael Shur is Roberts Professor at RPI and co-founder of Sensor Electronics Technology, Inc., and of Electronics of the Future, Inc. He is Life Fellow of IEEE and APS, Fellow of the National Academy of Inventors and of several other professional societies. His awards include IEEE Ebers. 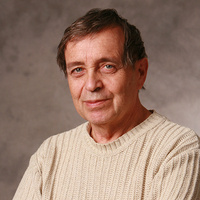 Kirchmayer, Donald Fink, and Sensors Council Awards, Tibbetts Award for Technology Commercialization, St. Petersburg Technical University and University of Vilnius Honorary Doctorates, Gold Medal of Russian Education Ministry, van der Ziel Award, Senior Humboldt Research Award, RPI Research Awards, and several Best Paper Awards. He is an IEEE EDS and Sensors Council Distinguished Lecturer and Foreign Member of the Lithuanian Academy of Sciences.